Join us at the Eagle Theatre for $2 Tuesdays! 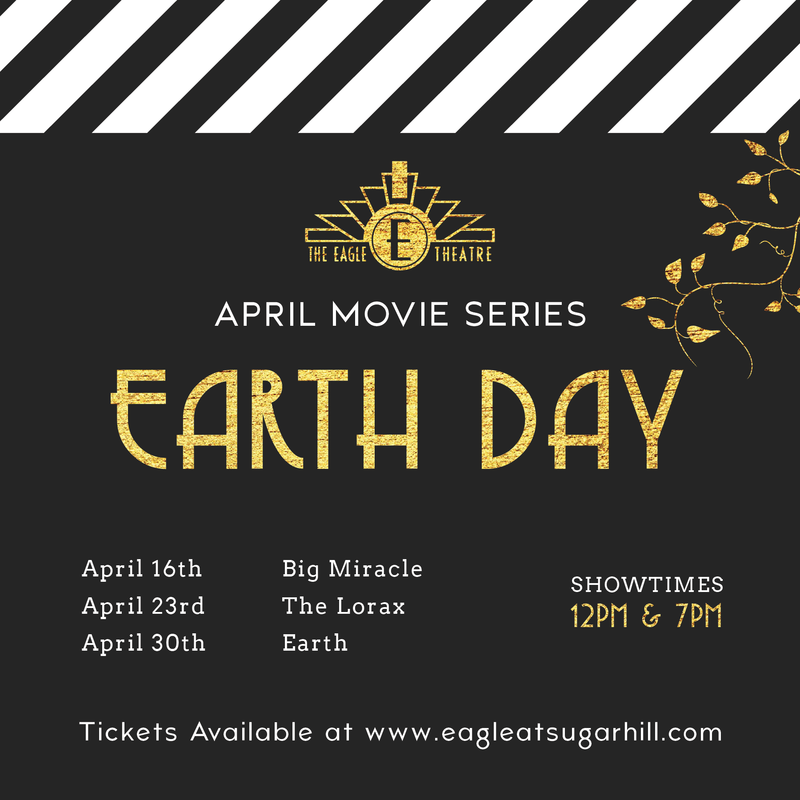 Celebrate “Earth Day” this month with great movies about our planet including The Lorax, Big Miracle, and Disney’s Earth. Shows at 12 pm and 7 pm (unless otherwise noted). Tickets will be available at www.eagleatsugarhill.com or at the Eagle Theatre box office.